I don’t have a super-cute story about me picking blueberries in the summertime on the side of the road. 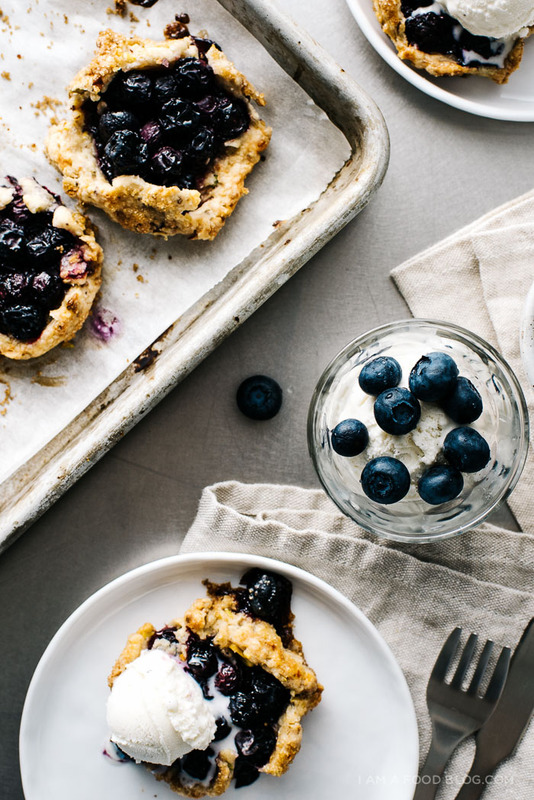 I wish I did, but blueberries weren’t really part of my childhood – I’m not sure why, but we never ate them growing up. Hmm, now that I think about it, it might have been because I grew up in Alberta, which is technically prairie land. I really don’t remember any blueberry bushes hanging around. There were a TON of wheat fields though. 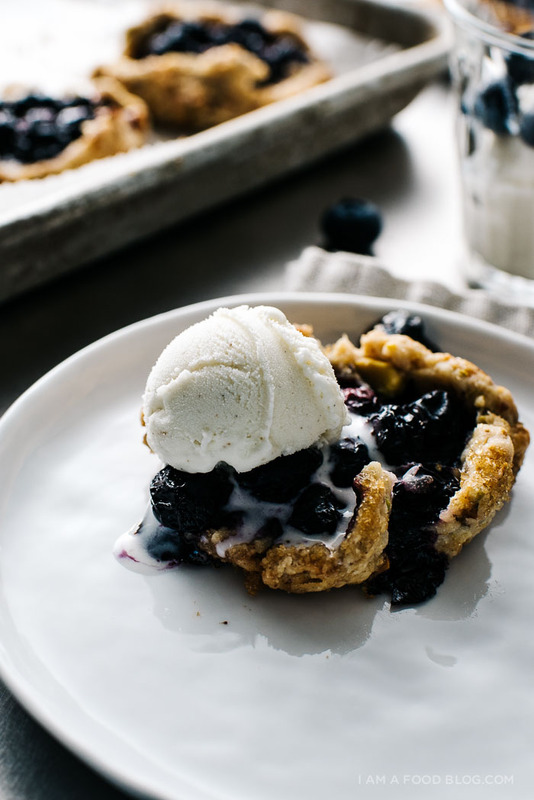 Wheat fields have absolutely nothing to do with this tart… Nope, this tart is all about the blueberries and I’m currently obsessed. I absolutely loved the warm jammy centers contrasting with crisp and nutty crust. Vanilla ice cream on the top was a must. My galettes didn’t turn out quite as pretty as this month’s cover of Bon Appetit, but that’s the beauty of galettes: the imperfect edges and spilling juices are as beguiling as the combo of fruit, nuts, and buttery crust. So cute! Single serve galettes! Ye-yah! 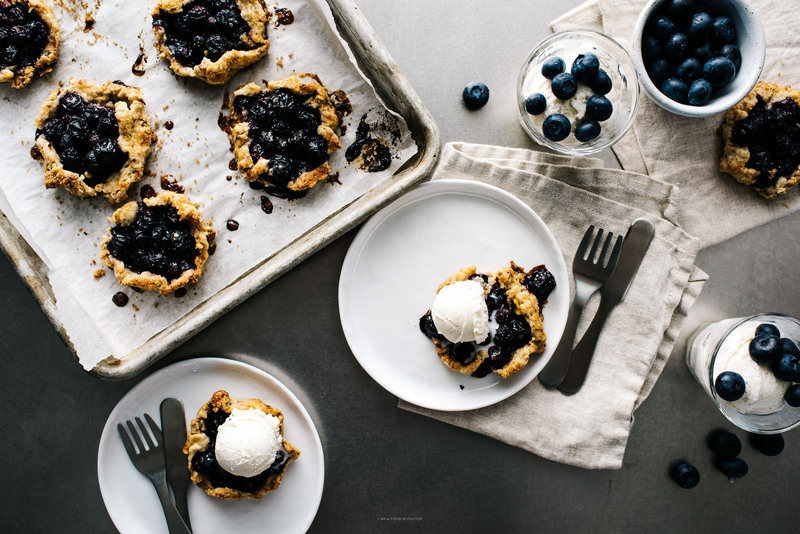 These blueberry galettes can come hang out in my belly whenever they feel like it! i have been wanting to bake the BA cover all this month. bravoooo! 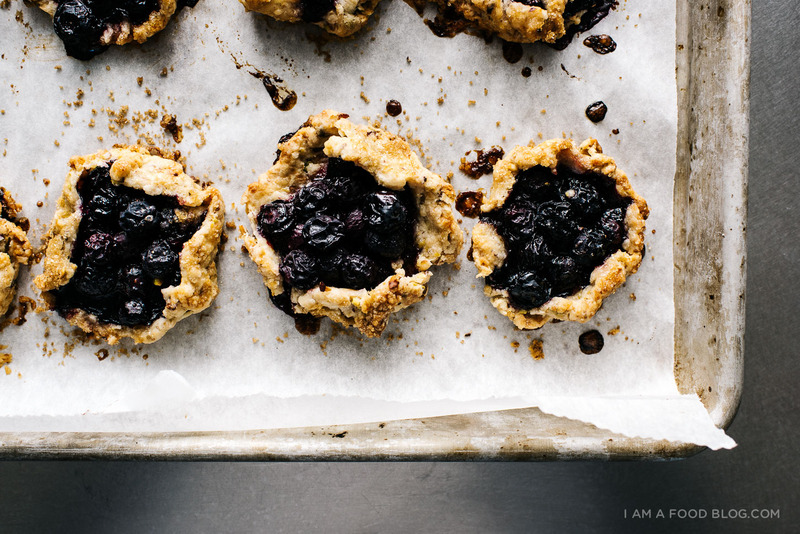 i’m going to try this one with huckleberries, add a little tartness… cheeers! Mini galettes are so dangerous. I always want to eat more than one!! And these ones look incredible! Oh man, these are gorgeous! Plus anything mini is just waay too cute. I love how galettes are so rustic – for people like me who can never make anything look “perfect”, haha, they always look perfect because galettes are allowed to look messy! You know the best part of mini galettes is that they’re that much less caloric… Unless you eat 3 in one sitting like me. Thanks for the recipe! they look beautiful! i would really love to try these out but don’t have any cornstarch on hand. what’s the function of it in the recipe? and is there a suitable substitute that’s a common ingredient? it helps thicken the fruit filling a bit. you could try without, the filling will probably be more loose and end up leaking a bit more. hope that helps! I just made these! they were so delicious. I never knew blueberries and pistachios were so great together. Thank you for the recipe! 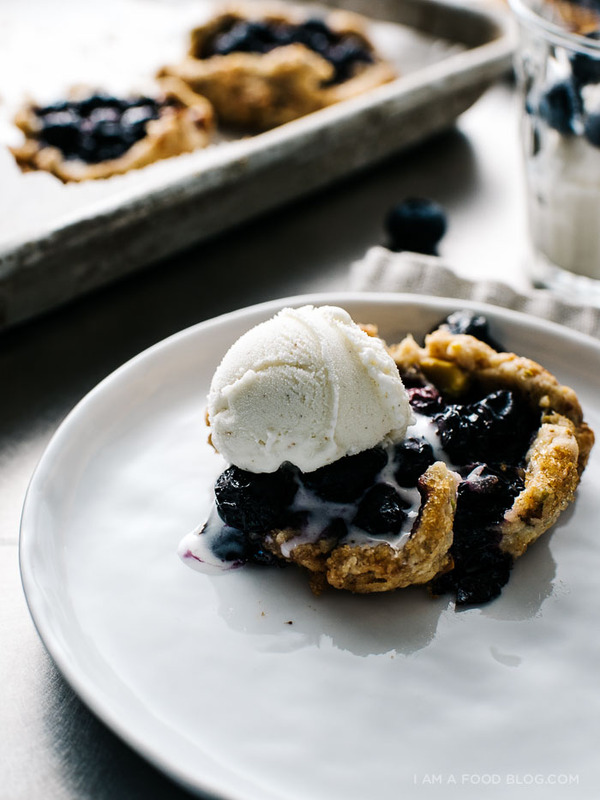 Yay yay yay mini blueberry galettes make me so happy! Yours look GORGEOUS and super yummy!! Also, yay for baking the Bon App cover—they always have the prettiest covers. love blueberry season! these little guys are adorable. oh no Tanya, i’m so sorry! 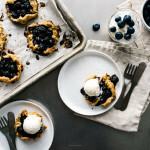 i adapted the recipe from here: http://www.bonappetit.com/recipe/blueberry-pecan-galette. 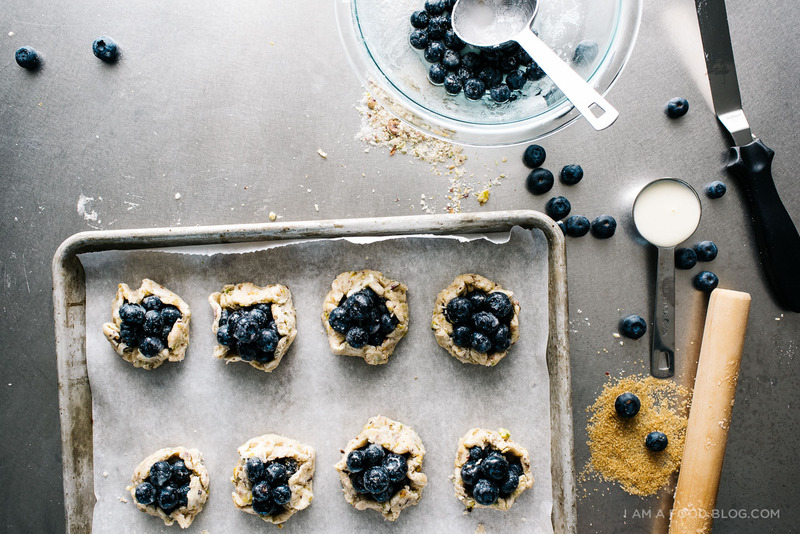 the original uses pecans, which probably compliment the blueberries more. also, i halved the recipe, which is probably why the fruit to dough ratio was off: with a bigger galette you can just keep on piling the fruit on top. 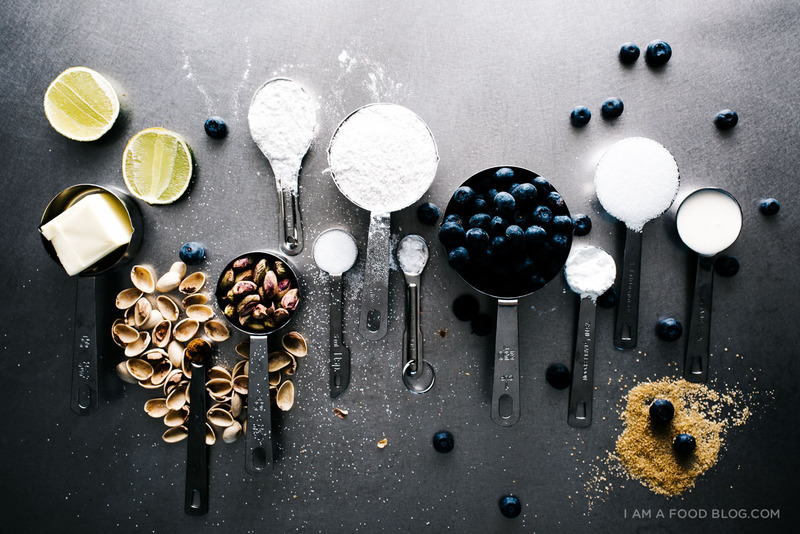 i really love your blog and your photography is so captivating!!!! may i know which camera you’re using pleaseeeeeeee. Sharing this recipe on my FB page today because your photos are gorgeous and those little gallettes are speaking to me. 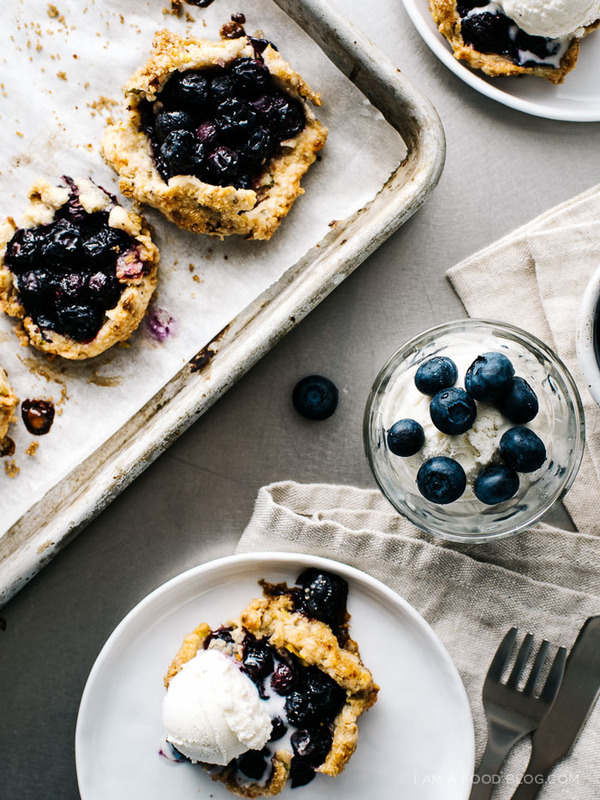 It is blueberry season! I can’t wait for a free day so I can try them out too! 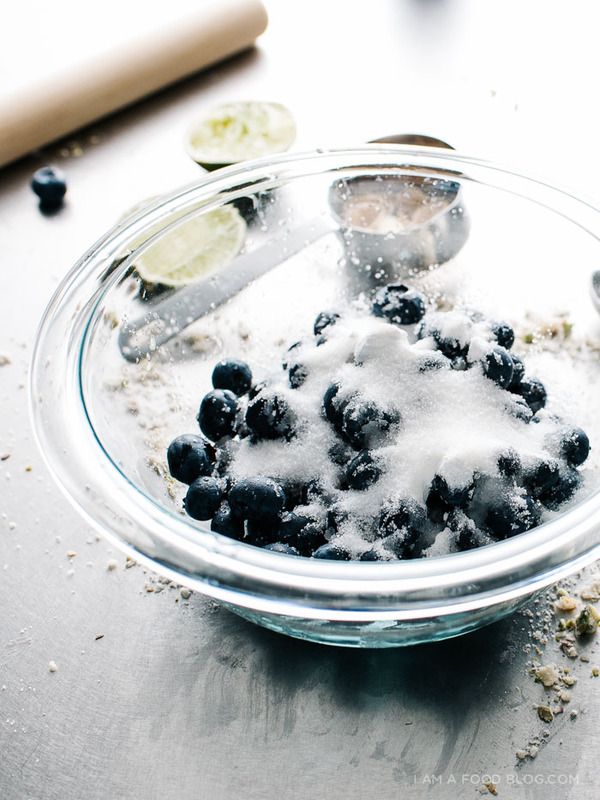 Can you use frozen blueberries in this recipe? frozen blueberries will probably give off too much liquid and make the pastry soggy! i’d recommend whatever fruit is in season, just make sure to cut it into small cubes or slices. hope that helps! 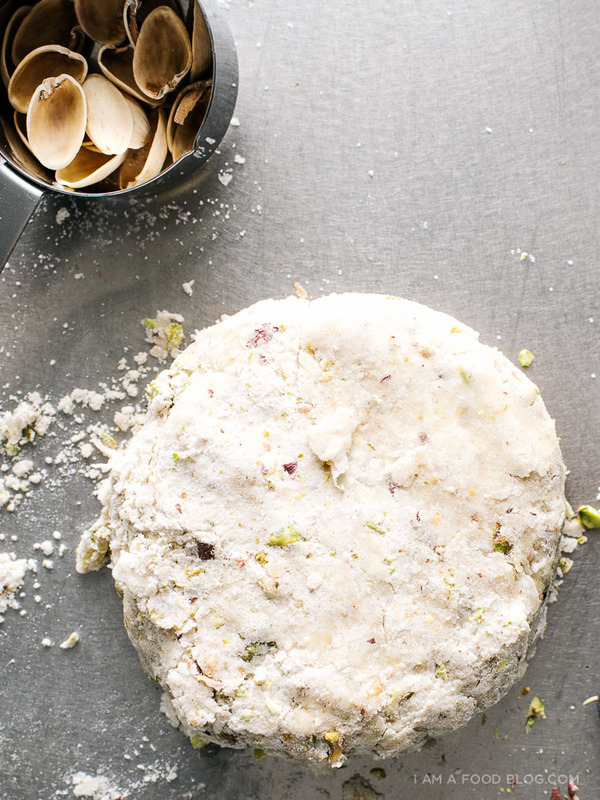 Can you do this without the pistachios?